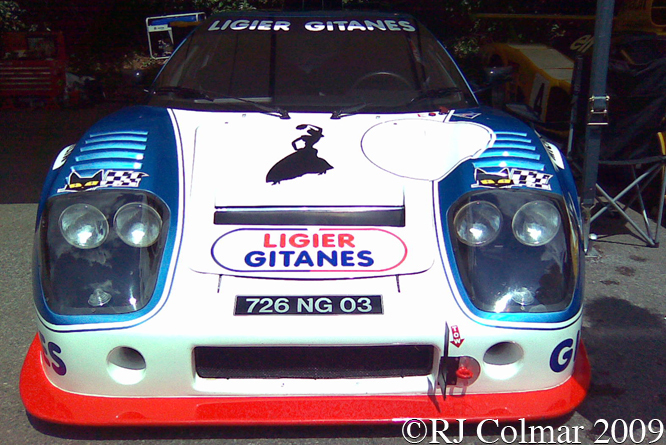 In 1970 former international rugby player and construction magnate Guy Ligier set about founding a sports car manufacturing company bearing his own name. 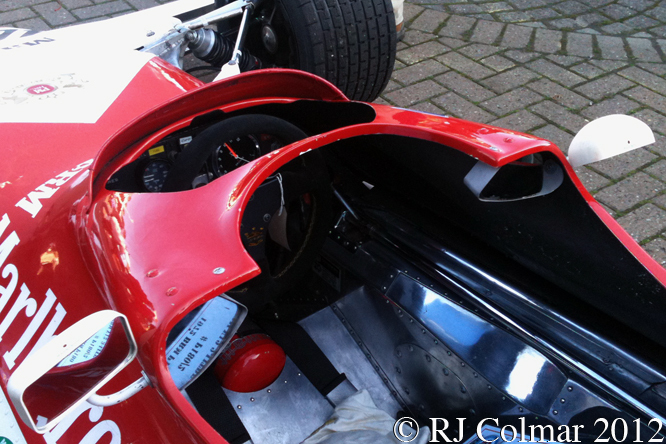 The original production model was to be the JS2 with a chassis designed by Michel Tetu, who would later be part of the Renault Le Mans and Formula One campaigns and a body designed by Pietro Frua. 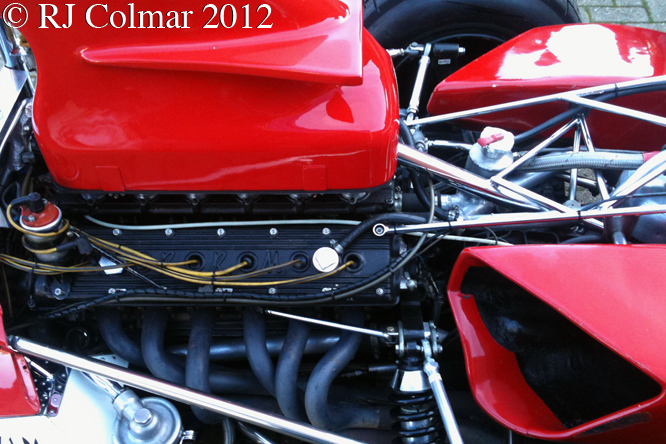 The JS2 was originally intended to be powered by a 2.6 litre / 158 cui Ford Cologne V6 but that had to be changed to the 3 litre / 183 cui Maserati V6 as used in the Merak and Citroën SM, when Ford thought it might build a rival in the form of the Ford GT70. 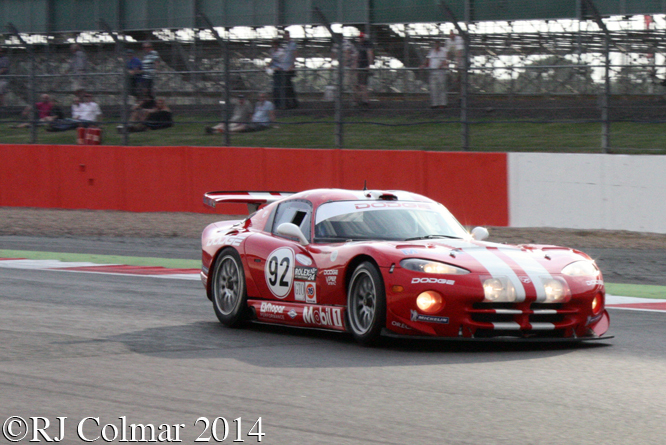 Production of the JS2 never reached sufficient numbers for the sporting authorities to consider the car for GT racing so instead racing versions were run as prototypes. 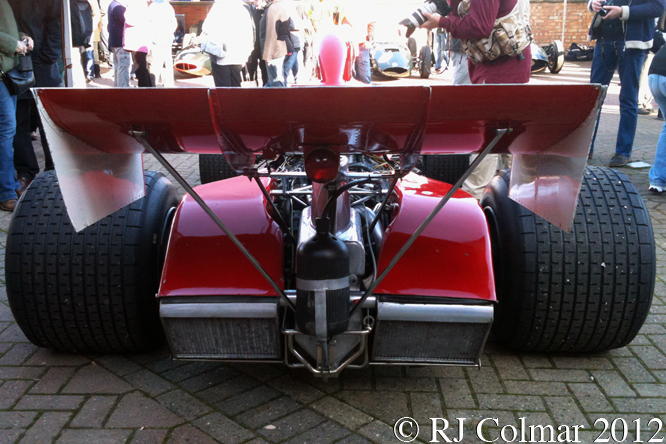 The racing JS2’s were built with aluminium chassis and raced with Maserati V6 engines which proved a tad underpowered and unreliable, although the teams perseverance was rewarded with a victory in the 1974 Le Mans 4 hour race for Guy Chasseuil and in the 1974 Tour de France Automobile where Gérard Larrousse, Jean-Pierre Nicolas and Johnny Rives drove the winning JS2. 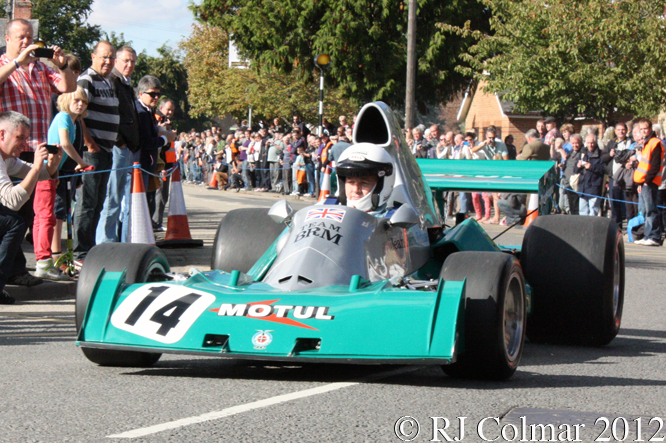 A second place finish for today’s featured chassis #2379 72 03 driven by Bernard Darniche and Jacques Jaubert emphasised the team’s mastery of the 1974 mixed discipline event. 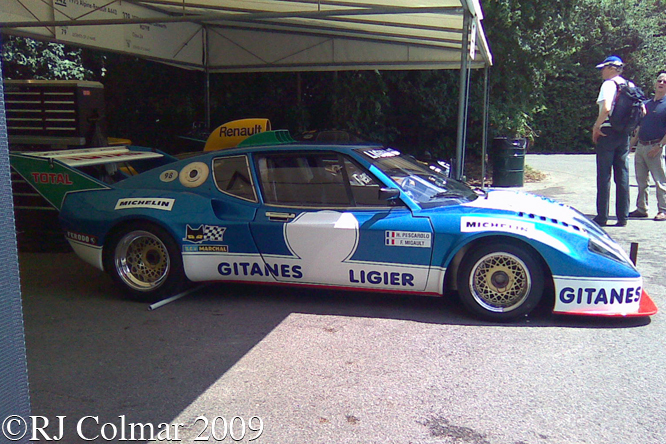 With new sponsorship from Gitanes for 1975 Ligier exploited the Prototype regulations more fully by producing a silhouette JS2 body and fitting more powerful Ford Cosworth DFV motors to two of his three JS2 racing cars including today’s featured chassis. 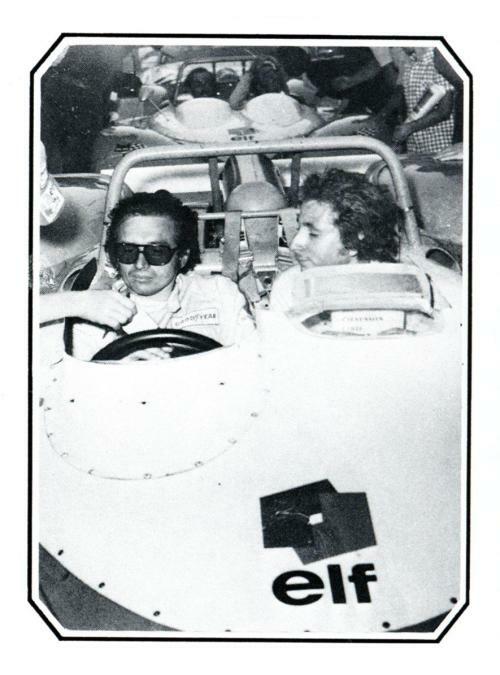 The two DFV powered JS2s were sent to Mugello and Dijon netting a 7th for Jean-Pierre Beltoise and Jean-Pierre Jarier at the former and 6th for François Migault and Jean-Pierre Jarier at the latter. Perhaps mindful of wanting to preserve their machinery for Le Mans only single car entries were sent to Monza and Spa where Beltoise and Jarrier finished 21st from 7th on the grid and François Migault and Jean-Louis Lafosse finished 12th from 5th on the grid respectively. 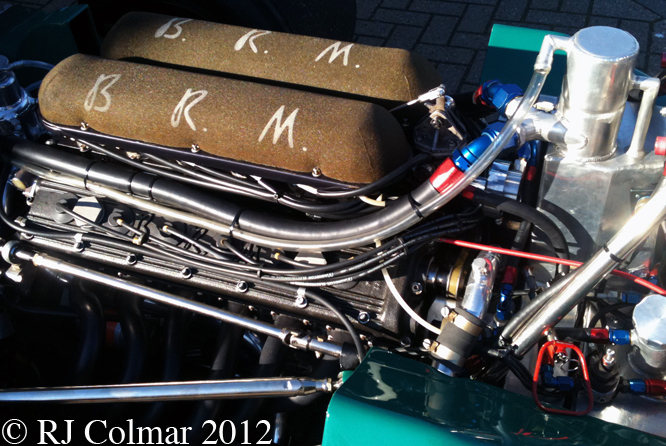 At Le Mans the two DFV powered JS2’s were joined by a third Maserati powered JS2 the latter to be driven by Beltoise and Jarier. 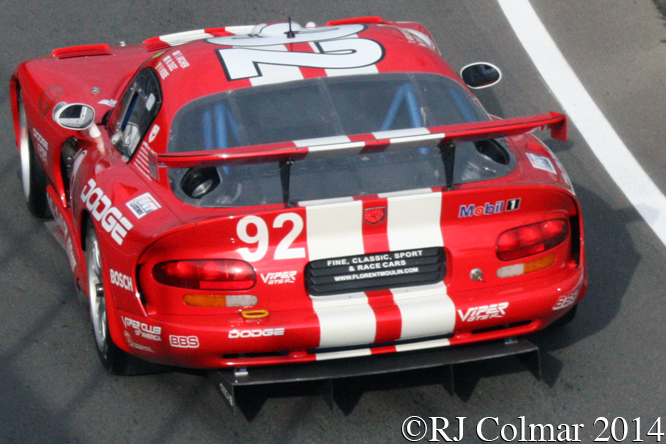 Unsurprisingly the Maserati was slowest of the three starting from 9th it was also the first of the three to retire after an accident. 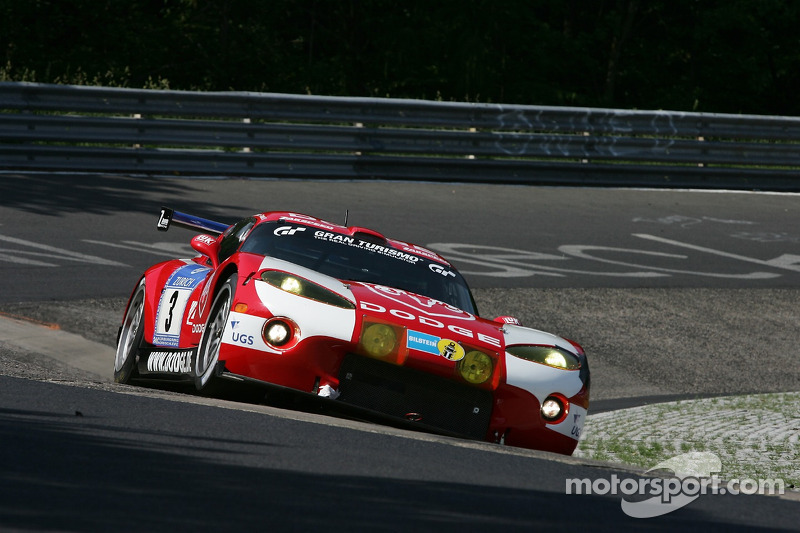 Today’s featured car driven by Henri Pescarolo and François Migault qualified 5th but retired later in the race with a puncture. 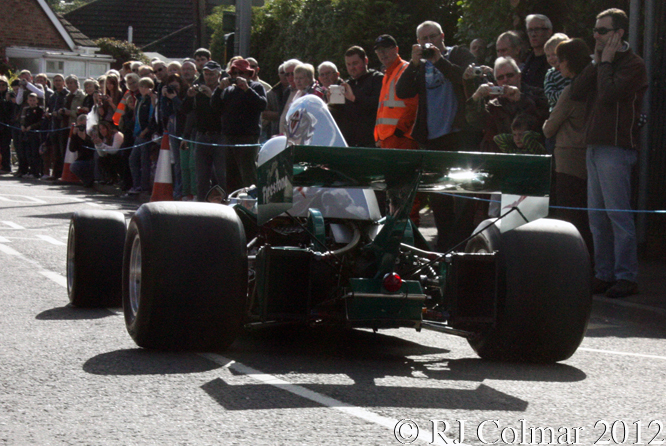 The second DFV powered JS2 driven by Jean-Louis Lafosse and Guy Chasseuil qualified an impressive 3rd and survived to finish second only one lap down behind the Gulf GR8 shared by Derek Bell and Jacky Ickx. 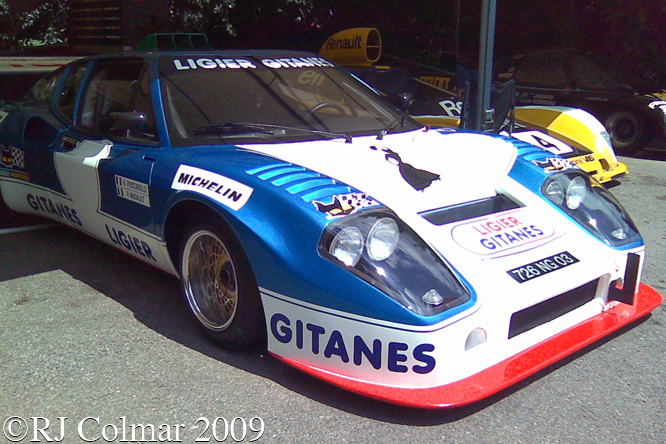 After Le Mans 1975 Ligier retired from sports car racing in preparation for it Gitanes sponsored appearance in Formula One the following season. Thanks for joining me on this “Not Quite A GT” edition of “Gettin’ a li’l psycho on tyres” I hope you will join me again tomorrow when I’ll be paying a visit to the National Motor Museum at Beaulieu. Don’t forget to come back now ! 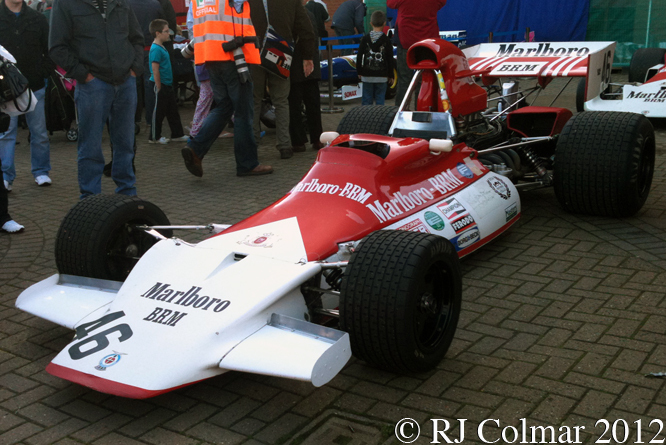 This entry was posted in Uncategorized and tagged Beltoise, Chasseuil, Citroen, Colmar, Cosworth, Darniche, DFV, Festival of Speed, Frua, Goodwood, Jarier, Jaubert, JS2, Lafosse, Larrousse, Ligier, maserati, Migault, Nicolas, Pescarolo, Psychoontyres, Ralph, Rives, Tetu on June 16, 2015 by Ralph. Born on April 26th 1937 Jean Pierre Beltoise was part of a cohort of French drivers that emerged in the 1960’s that included Johnny Servous Gavin, Gerrard Larrousse, Henri Pescarolo and brother in law Francois Cevert. JP B’s started racing motor cycles winning 11 national titles in three years, he raced Motor Morini, Kreider and Bultaco machines in a handful of world championship events from 1962 to 1964 finishing a best 3rd on a 50 cc Kreider in the 1964 French Grand Prix. 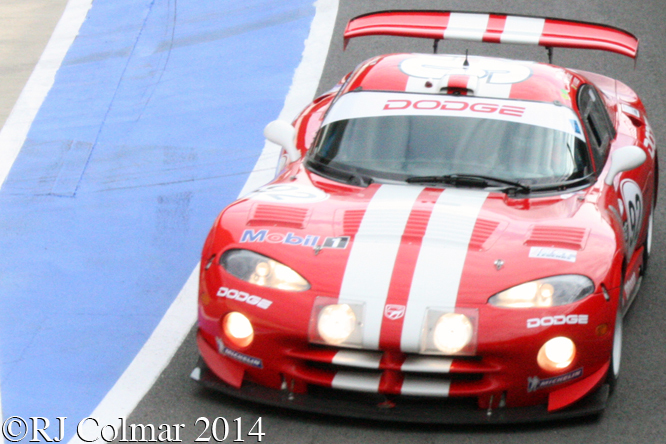 In 1963 Jean Pierre started racing Djet sports cars for René Bonnet. After Bonnet sold out to Matra he raced a succession of Formula 3 and Formula 2 Matra open wheelers with sufficient success that led to his Grand Prix debut in the 1966 German Grand Prix with a Formula 2 Matra in which he finished 8th overall and first in the Formula 2 class. 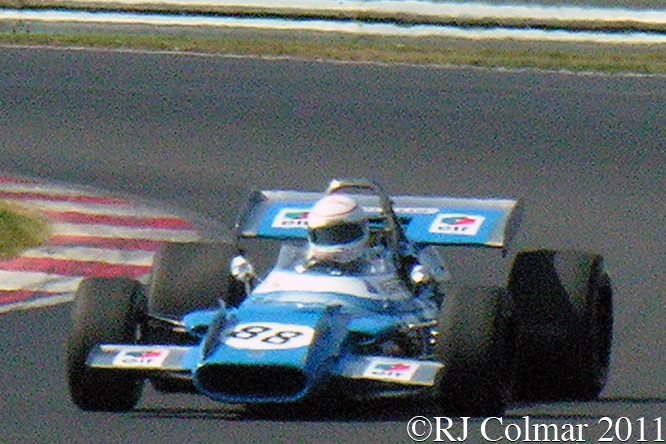 In 1968 JP B was contracted to drive for the French Matra Sports team but did not race a proper Formula One Spec car until the Spanish Grand Prix when he was drafted in to drive Jackie Stewart’s Cosworth powered Matra MS10 for Ken Tyrrell’s Matra International team. At Monaco he raced the Matra V12 powered Matra MS 11 for the first time but retired with broken suspension, at the Dutch GP he finished a season high second behind Stewart. Matra Sport withdrew form F1 at the end of 1968 to focus their efforts on getting Ken Tyrrells Matra International Team Matra MS80 cars for Jackie Stewart, JP-B was drafted in as Jackie’s team mate and again finished a season high second this time in France. Ken Tyrrell and Matra parted way’s after winning the 1969 World Championships and Matra got it’s V12 programme back on track with JP B and Henri Pescarolo in the drivers seats JP B scored two season high thirds to Henri’s one. 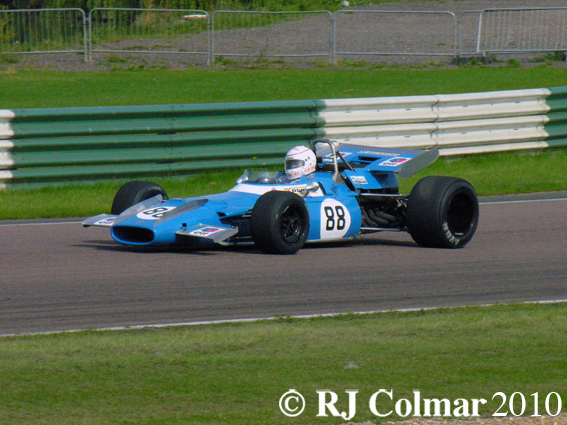 The following season JP B remained on the Matra team with Chris Amon but the results were disappointing. 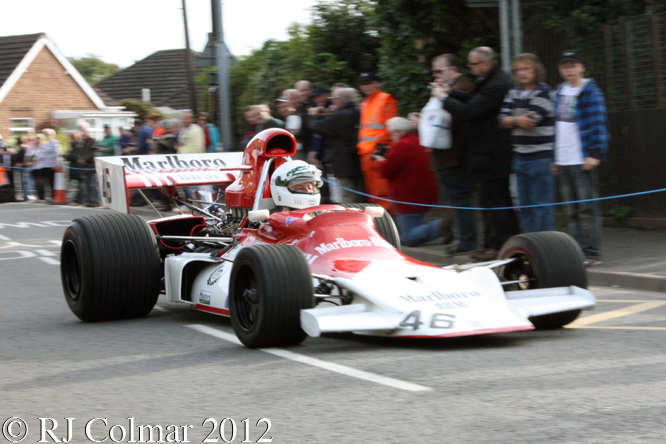 For 1972 JP B signed to drive for BRM for which an over ambitious programme was being funded by Marlboro. At the 1972 Monaco Grand Prix Jean Pierre won his only Grand Prix generally reckoned to have been one of the more difficult races thanks to the atrocious conditions. 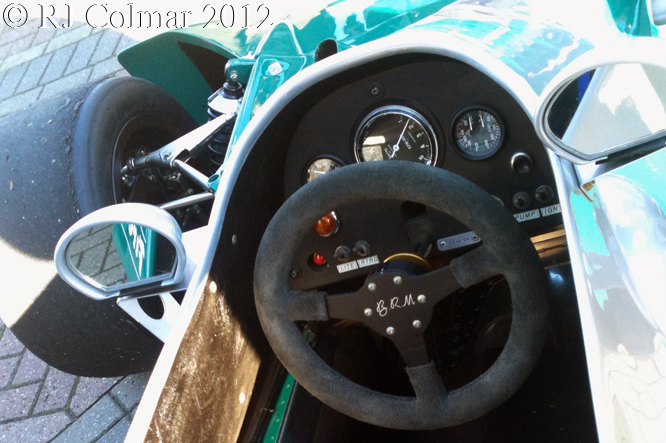 Note the scuff mark the BRM’s nose in the linked photo this came about after contact with Ronnie Peterson’s March which was baulking his while being lapped. 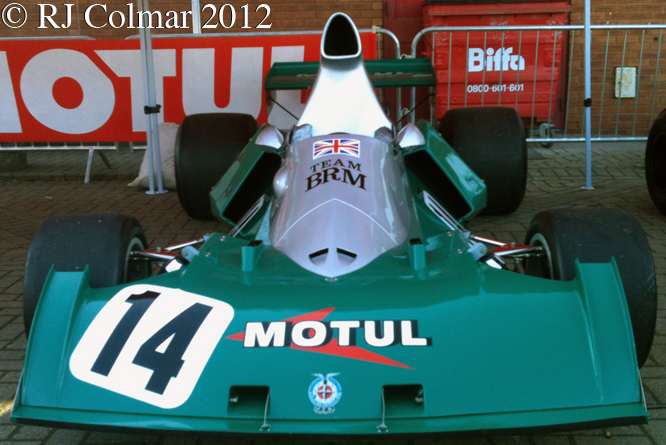 This race would be the last formula one championship win for a BRM and at the end of the season Jean Pierre won the non championship John Player victory race at Brands Hatch driving a BRM P180 which would be the last win for the BRM team. Jean Pierre continued driving for BRM in 1973 during which he finished a season high 4th in Canada with the by now ancient BRM P160 and in 1974 during which he scored a great second place finish on the debut of the P201 in South Africa. 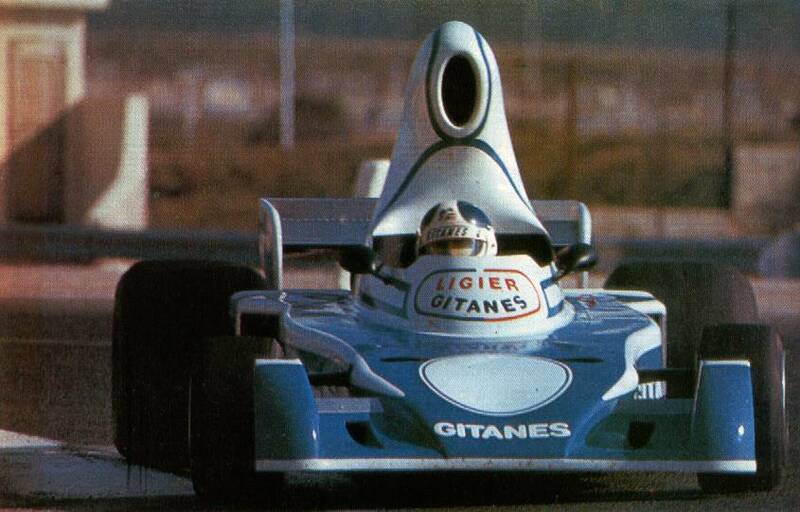 Out of a Formula One drive for 1975 Jean Pierre was in the running for a drive with the new Ligier team for 1976 and tested the Matra V12 powered JS5 before it was decided to hand the car over to 1975 Formula 2 champion Jacques Laffite. 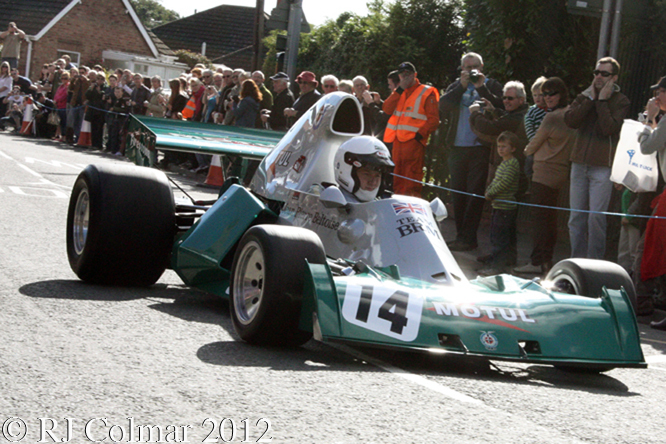 Alongside his open wheel racing Jean Pierre continued racing sports cars winning races in 5 litre, 3 litre and 2 litre classes though most, seven, were wins with the 3 litre / 183 cui Matra’s which included the 1970 Tour de France sharing driving with Patrick Depailler and with FIA President Jean Todt doing the navigating. After winning the sports car World Championship twice in 1973 and 1974 Matra withdrew from racing a Jean Pierre continued racing Ligier and Rondeau built sports cars at Le Mans, but he never improved on his career best 1969 4th place finish with Piers Courage in the endurance classic. JP B won two French Saloon car championships driving BMW’s in 1976 and 1977 before proving his versatility, despite restricted arm movement that was the result of a sports car accident in the 1960’s, by winning the 1979 French Rallycross Championship driving an Alpine A310. 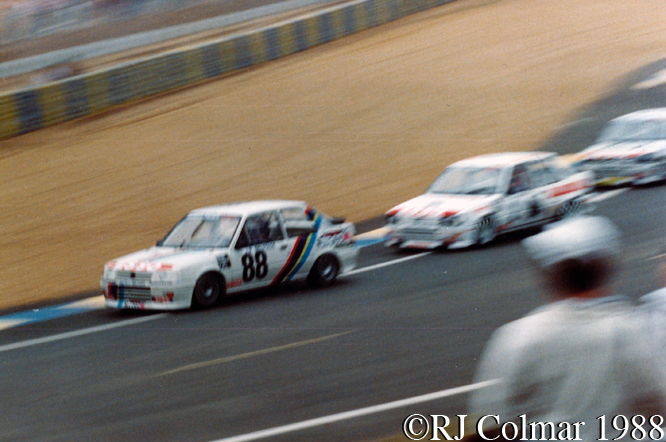 Into the 1980’s JP B continued racing Peugeot 505 Turbo’s, a V6 Talbot Tagora and in 1988 he was racing in the Peugeot 309 Gti Turbo Cup series, above Jean Pierre is seen driving the #88 309 to victory in the support race to the Le Mans 24 Hours. 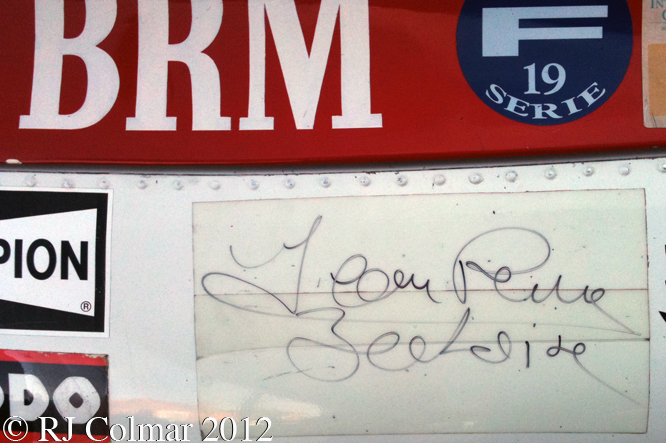 Jean Pierre passed away on the 5th of January aged 77. Condolences to his family and friends RIP JP B. 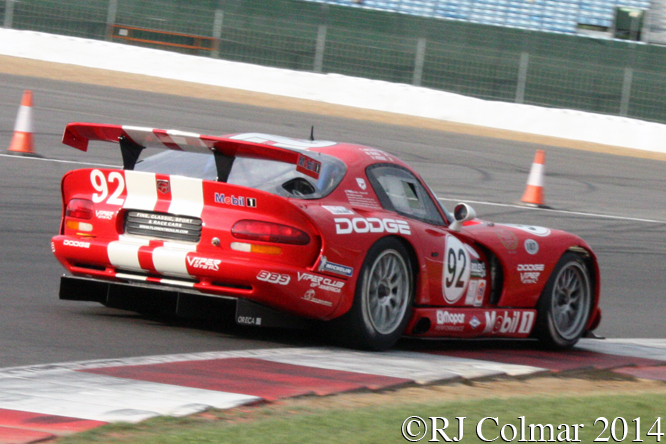 Thanks for joining me on this “RIP JP B” edition of “Gettin’ a li’l psycho on tyres” I hope you will join me again tomorrow when I’ll be visiting Autosport International. Don’t forget to come back now ! 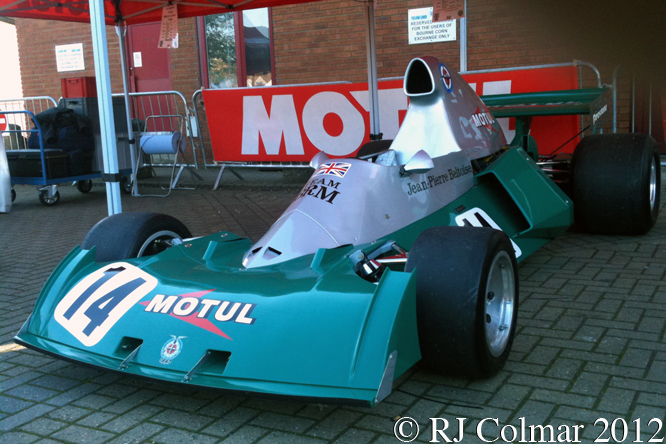 This entry was posted in Uncategorized and tagged 309, Alpine, Amon, Beltoise, BMW, Boonet, BRM, Bultaco, Cevert, Colmar, Courage, Cup, Depailler, GTi, Kreider, Laffite, Larrousse, Le Mans, Ligier, Matra, Motor Morini, Pescarolo, Peterson, Peugeot, Psychoontyres, Ralph, Rondeau, Servos Gavin, Stewart, Talbot, Todt, Turbo, Tyrrell on January 13, 2015 by Ralph. 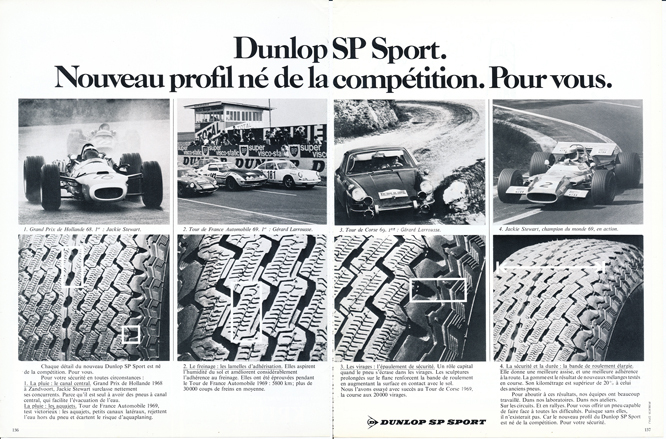 From this weeks collection of advertisements appearing in Connaissance des arts Magazine that I posted this week is this October 1970 advertisement for Dunlop SP Sport Tyres featuring 4 images of cars in competition. The first “1. Grand Prix de Hollande 68. 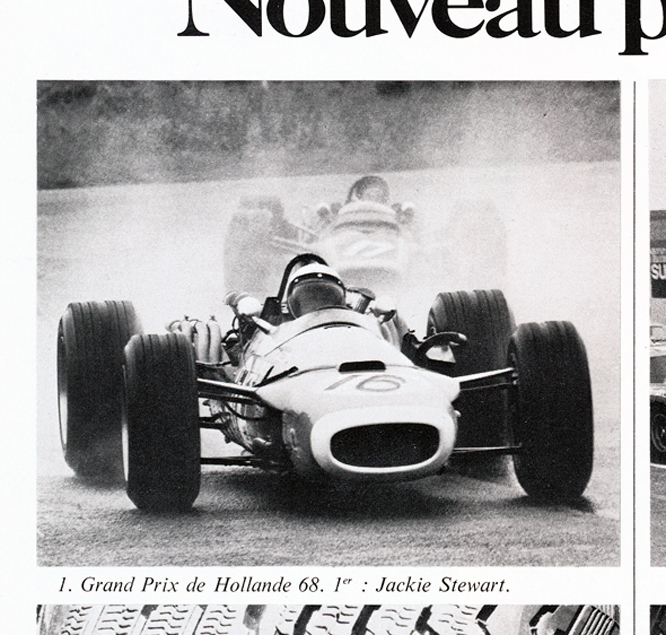 1er : Jackie Stewart” is incorrectly labelled as Jean Pierre Beltoise is seen driving a V12 Matra MS11, identifiable by it bulky exhaust, at 1968 Dutch Grand Prix carrying the #16 appears which appears to be an altered number as Beltoise actually drove the #17, Stewart drove the #8 Ford DFV, less bulky exhausts, powered Matra MS10 that won the 1968 Dutch Grand Prix. 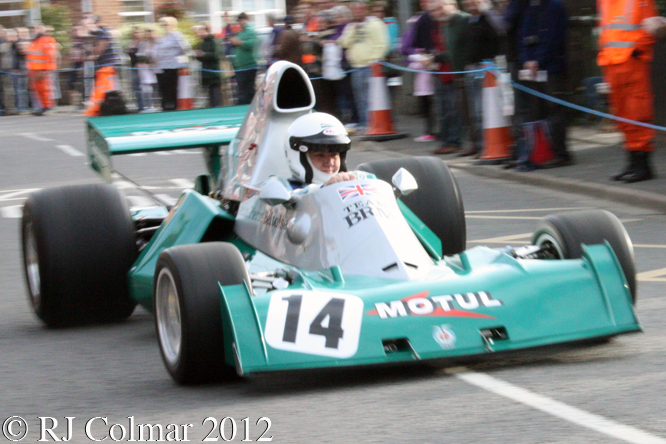 As can be seen in this linked photo Beltoise helmet is dark not white and has also come under a photographers touching in brush. 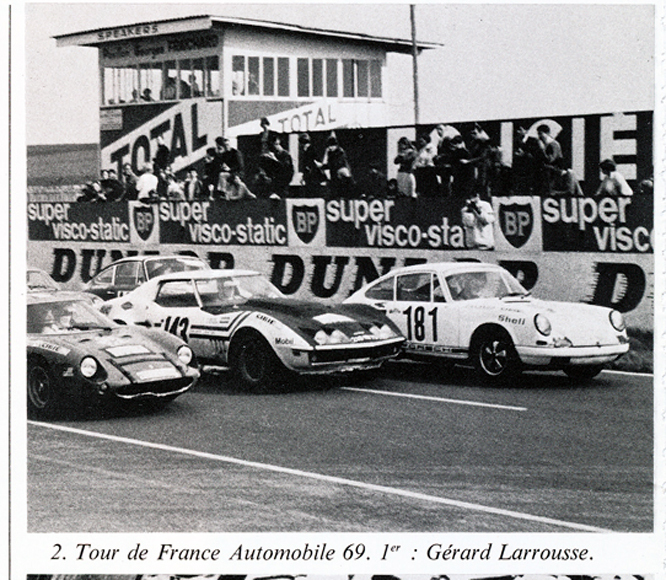 The second shows Gérard Larrouse / /Maurice Gélin #181 Porsche 911, Greder / Vigneron #143 Corvette C3, and Rouget / Depret #192 Ferrari 250 LM chassis #5981, at the start of a race at Reims which was part of the 1969 Tour de France won by Larrouse and Gélin. “3. 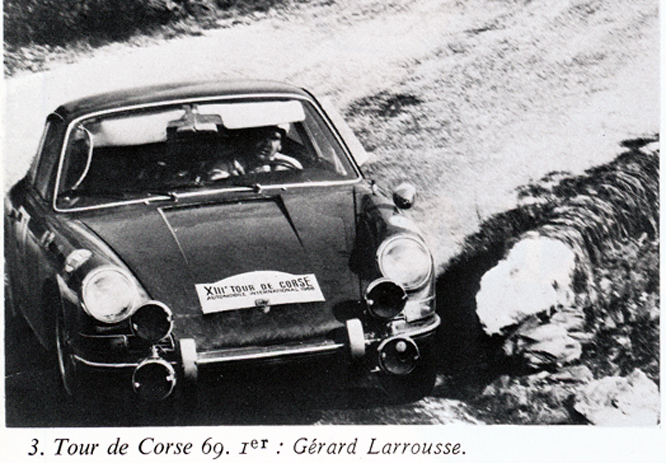 Tour de Corse 69. 1er : Gérard Larrousse” is also incorrectly labelled as Gérard won driving a white Porsche 911 bearing the #70 competition number. The car in the third photo seems to be competing in the 1968 Tour de Course, won by Jean Claude Andruet with Maurice Gélin driving an Alpine A110 and is thought to have either Claude Ballot-Lena or Gerhard Schuler at the wheel, neither of whom was classified at the finish. “4. Jackie Stewart, Champion du monde 69, en action.” shows Jackie Stewart in his Matra Ford MS80 on his way to victory in the 1969 French Grand Prix at Clermont Ferrand, which coincidentally is also well known as the home of Dunlop’s rival tyre manufacturer Michelin. My thanks to Paul ‘Macca’ M, Ray Bell, Tim Murray and Nanni Dietrich at The Nostalgia Forum for their help unpicking the mysteries of today’s ad. Thanks for joining me on this “Photographers Brush” edition of “Gettin’ a li’l psycho on tyres”, I hope you will join me again tomorrow for Coffee and Croissants with the Avenue Drivers Club. Don’t forget to come back now ! This entry was posted in Uncategorized and tagged Automobilia, Ballot-Lena, Beltoise, Clermont Ferrand, Colmar, Connaissance des arts, Corvette, Depret, Dunlop SP Sport, Ferrari, GALPOT, Gélin, Greder, Larrousse, Matra, Porsche, Ralph, Reims, Rouget, Schuler, Stewart, Tour de Corse, Vigneron, Zandvoort on September 17, 2013 by Ralph. For 1969 MATRA CEO Jean-Luc Lagardère took a gamble to try and win the 1969 Drivers and Manufacturers Championships by suspending the entry of MATRA V12 powered cars by the works MATRA team and putting all of the teams efforts behind Ken Tyrrells Ford DFV powered MATRA International team cars. 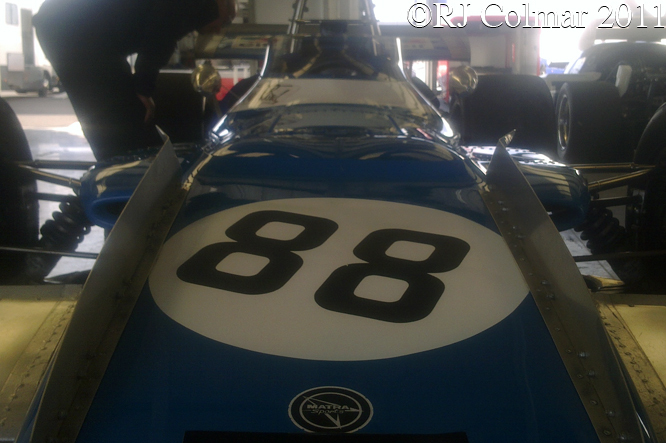 Even with all the focus being on the MATRA International Team cars the 1969 MS80 was not ready for the start of the season, fortunately the old Ford Powered MATRA MS10 was still good enough for Jackie Stewart to win the championship opening South African Grand Prix. 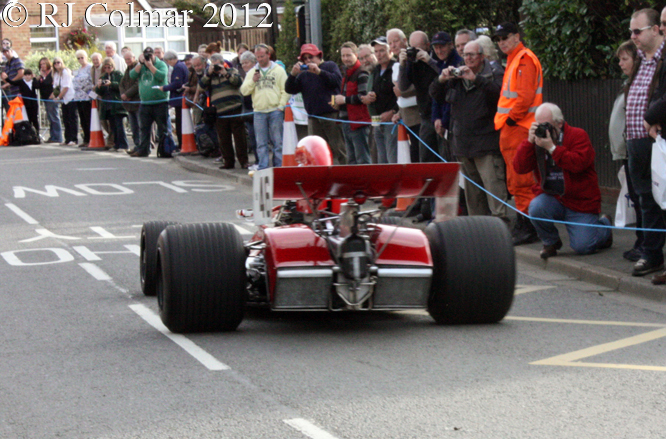 The MS80 made it’s public debut at the non Championship Race of Champions from the Lotus 49 of Graham Hill. At the Spanish Grand prix run around the streets of Barcelona at Montjuich Park Stewart won again starting from starting from forth on the grid after the faster Lotus 49’s of Rindt and Hill retired at the same spot a few laps apart as a result of crashes caused by wing failures, and Chris Amon who lead Stewart by over 30 seconds retired with a seized motor after half distance. At Monaco Stewart retired but then went on to win in Holland, France, backed up by team mate Jean Pierre Beltoise who finished second and Great Britain. In the German Grand Prix Stewart finished second to Jacky Ickx driving a Brabham before winning the Itallian Grand Prix at Monza. Stewart retired from both the Canadian and US Grand Prix by which time Ickx who won in Canada was too far back in the points standings to catch the Scot. 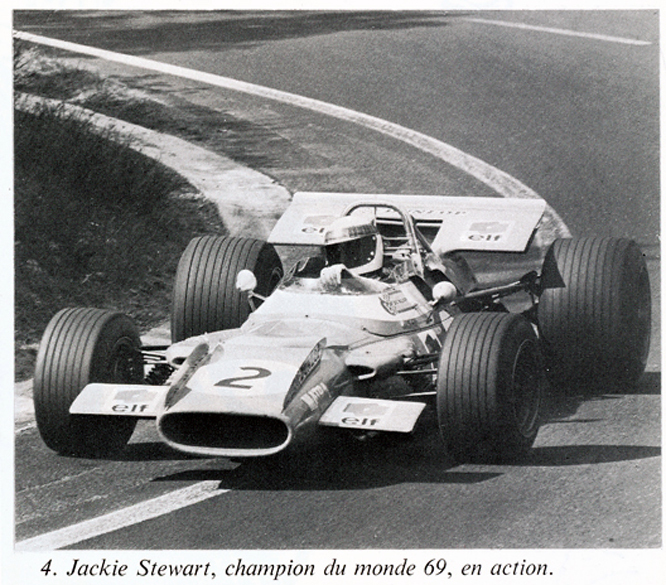 Stewart finished 4th in Mexico to round out the season in which he won his first drivers Championship and MATRA International their only World Manufacturers title. 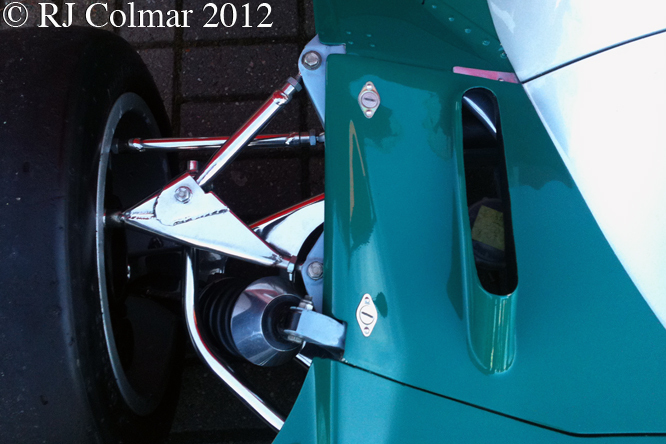 Only two MS80’s were completed for the 1969 season, a Ford Cosworth all wheel drive MS84 was also built but this featured MS80 suspension and a unique space frame chassis and was used originally as a spare car to replace the older MATRA MS10’s. 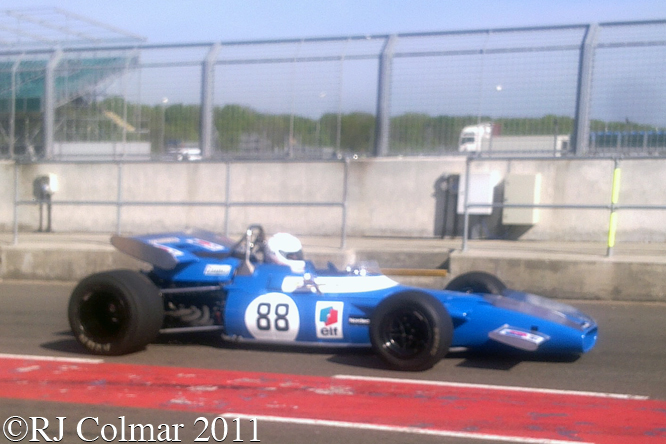 It is a credit to the determination of MATRA CEO Jean-Luc Lagardère to win both drivers and manufacturers championships that he sanctioned the building of the MS80 which featured fuel tanks that were integral to the monocoque that was reinforced inside by a number of transverse bulkheads, effectively splitting the fuel tank in many small interconnected cells. 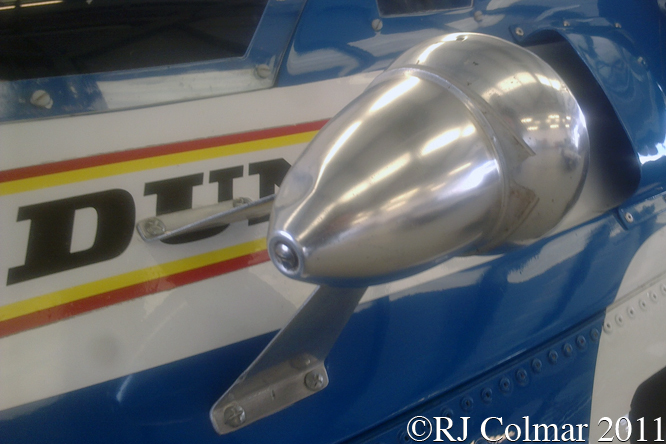 It had been announced well before 1969 that for 1970 rubber bag fuel tanks would be mandated that precluded the use of many interconnected fuel cells, so effectively the MS80 was restricted to being a one season challenger at the end of which it was outlawed. At the end of 1969 Stewart and Tyrrell decided that they wanted to use the Ford Cosworth DFV in 1970 and MATRA who had been taken over by French manufacturer Simca, a French Chrysler subsidiary, were adamant they wanted to return to V12 power for 1970. 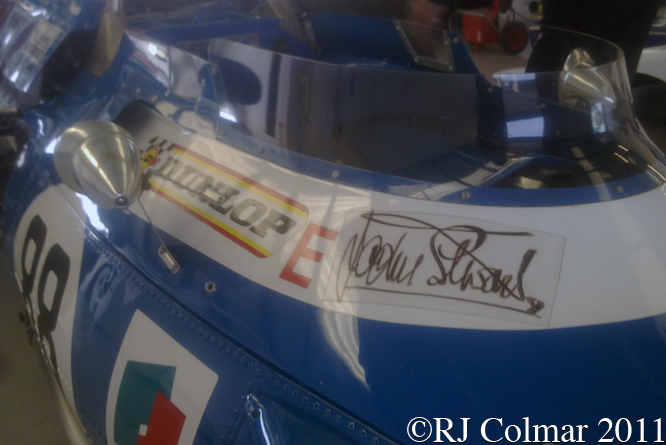 To date the MATRA MS80 remains the only car built in France to win the World manufacturers championship. 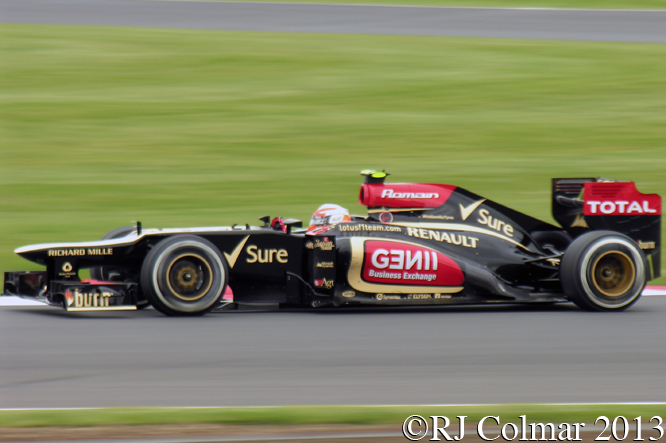 Note: the Renault’s driven by Fernando Aonso to Drivers and Manufacturers Championship success in 2005 and 2006 were built in Enstone, UK in the same premises that are now home to the Lotus F1 Team. 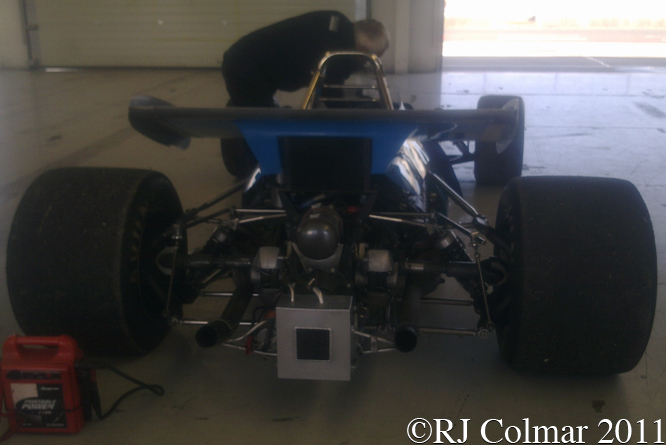 Chassis #MS80/3 seen in today’s photographs was built up from an unused spare tub for owner/driver Ray Maydon, who is seen driving the car at a Silverstone Classic test day top and bottom and at a Mallory Park test day in the middle. My thanks to Walter Melissen of the The Nostalgia Forum and Ultimatecarpage.com for his assistance in identifying the chassis number and owner driver of today’s featured model. Thanks for joining me on this “French Built Championship Winner” edition of “Gettin’ a li’l psycho on tyres” I hope you will join me again tomorrow. Don’t forget to come back now ! 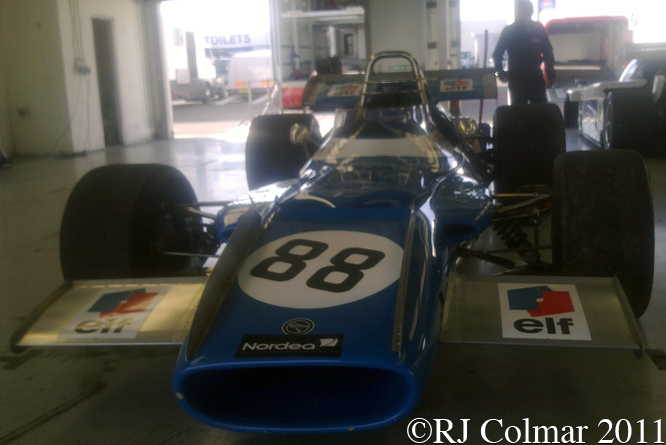 This entry was posted in Uncategorized and tagged Beltoise, Colmar, Cosworth, DFV, Ford, Formula One, GALPOT, International, Lagardère, Mallory Park, Matra, Maydon, MS10, MS80, Racing Car, Ralph, Silverstone, Stewart, Tyrrel on July 23, 2013 by Ralph.